**Congrats to Susan Devaux for winning the DVD I often get the chance to review and giveaway products on my blog, but every once in awhile, something comes along that is extra-special, a true honor to be able to work on. A couple of weeks ago, I was asked if I would like to do a review and giveaway for a movie that my son and I saw in the theaters. When we saw it, we were moved. Moved to tears, moved to do more, moved to pay attention to our surroundings... moved!!! 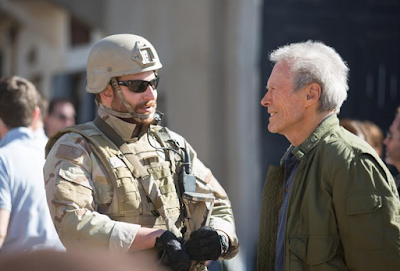 AMERICAN SNIPER is Clint Eastwood’s Oscar-nominated adaptation of Chris Kyle’s autobiography. It is moving and meaningful filmmaking, depicting the heroism of both the service member in combat and the family left stateside. It is not an easy film to watch, given its subject matter, but it is, I believe, an essential film to watch to help us better understand the cost, to those on the battlefield and on the home front, of the freedoms we hold so dear. That was a paraphrase from the person who offered me this opportunity, and his words said it better than I ever could. The movie hits stores May 19th, just in time for Memorial Day. Warner Bros. are donating $1 from the movie sales to The Wounded Warrior Project whose mission is to enlist the public’s aid for the needs of injured service members, to help injured servicemen and women aid and assist each other, and to provide unique, direct programs and services to meet their needs. I have spoken to many people who have or know someone who has served this great country and those who have seen combat and been involved. I know that lives are changed forever, and the struggle is more than I can ever imagine once our soldier return home. I have one DVD to giveaway and one to give away to a veteran. I am giving the DVD to someone who served in the Marine Corps and is still very active with other vets. He was my high school softball coach and he pushed us but still taught us to be good people. He is and was very special to me. To win, you need to comment below and tell me why you feel blessed to live in this country. Then you can tweet the following and post the link to your tweet here. 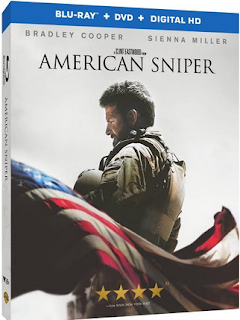 I want to win #AmericanSniper on DVD & BlueRay from @mindyartze & @gracehilltweets at http://www.mindysfitnessjourney.com . Thanks to those who serve! I'm glad to live in this country because we have the freedom to go after our dreams. I'm glad to live in this country because of all that living here provides. I am glad to be living thanks to the many men and women that have fought (and some died) to protect our way of life. Some include my family and very close friends. I feel blessed to live in a country where men and women willing give of their lives to prevent others from the pains of war and battle. Many who live with the memories and permanent reminders of their sacrifice. Others who fall and pay the ultimate price so that we can all live in a protected country. Many don't understand the full spectrum that serving has. I love this great nation. Not its government, but the people that make this country so great. I am blessed to live in this the United States because of the freedoms we have. I feel extremely blessed to live in the US where we have Freedom, opportunities and do not have to live in fear. I am blessed to live here because we have the right to free speech. Thankful for those who protect our country. I feel blessed to live in this country because, with my husband being in the military, I've seen what other places are like. I appreciate all the freedoms and opportunities that we have here. I am blessed to live in this country because of our freedoms. Thanks to all who have served and who are still serving! I feel blessed for all of the opportunities that this wonderful country has provided me! I think we all appreciate living in such a great free country. I should also watch this!